I get it. 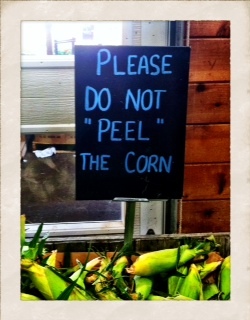 They don't want me to "peel" the corn. Just "buy" it. Aw, "shucks". I wasn't going to "peel" it.